It is nearly impossible to take a glimpse of Japanese society, let alone the Japanese music industry, without being hit by SMAP. SMAP is not a person. SMAP is what we have come to call a “boy band” in the United States. By casual foreign fans, SMAP is often referred to as the Backstreet Boys of Japan although it is probably somewhat more accurate to put them along the line of New Kids on the Block. If you find yourself asking, “What’s the difference?”, that is exactly why this guide to SMAP has been compiled, so you can get a start on everything you will need to know about this effervescent crew in order to get the in-jokes, references on variety programming, be able to sing when you go to karaoke, and maybe even enjoy some of their music. However, the only qualifier I must confess is that this will in no way prepare you for true induction into the SMAP religion. For that you must witness their miracle celebrity-status appearing in over 500 commercials, 15 albums across 12 years as an active group, scheduled weekly appearances on Japan’s most famous afternoon variety programming, their own weekly television programs (separately or as a group, pick your flavor), appearances on the radio, showing up on billboards, printed ads and performing at sold-out concerts for years. Make no mistake, an attempt to fully understand SMAP is a stab at fully understanding Japan from the early 1990’s until the moment you clicked onto this page. And do not doubt for a moment that this is even the slightest of exaggerations. Get ready for Japan’s other Godzilla-like force, SMAP! In Spring 1986, former soul singer turned producer Maurice Starr debuted a group of five young men called New Kids on the Block to a crowd at a live show called “WILD Live”. In 1988 this group, although slow to pick up steam, with the release of their second album, Hangin’ Tough reached worldwide acclaim and success, at least amongst their preteen audience. These young men managed to redefine vocal groups, in sharp contrast to soloists, that *gasp* simply sang songs while musicians played the background music. Although the idea itself was nothing new since such vocal groups had been around since the 1950’s and 1960’s with one-hit wonders, New Kids on the Block was the first Caucasian group of young men to stay continually popular. But as the 'New Kids' were on their way to becoming mega-stars, there had long been something brewing elsewhere and it was about to boil over. The Japanese vocal male label behemoth Johnny’s Jimusho, known in translation as 'Johnny and Associates' and by fans as simply Johnny’s, had already been creating idol giants out of male vocal groups since its creation in 1962. 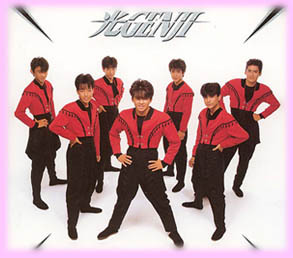 While it is perhaps indisputable that Johnny’s groups such as Four Leaves, Ninja, Tanokin Trio and of course Johnny’s were all popular and big record-sellers, only one group can claim to have been the first gathering place for six young men that would become arguably the most popular young music group Japan has seen to present, I speak of none other than the seven-member roller-skating-sensation who made their official debut in August 1987, Hikaru Genji. Named after the “Shining Prince” who served as the pivotal character in Lady’s Murasaki’s novel of Heian period aristocratic life, The Tale of Genji, this Johnny’s group debuted with the piece Star Light and only created more stir during their career with memorable songs like Paradise Ginga 'Paradise Galaxy' and the melodramatic Garasu no Juudai 'Glass Teenage Years'. Genji’s gimmick, singing while roller-skating, was something that was apparently too much for the young ladies of the day and created a huge stir. Meanwhile, back in America, New Kids on the Block were redefining street style, bringing the image of a clean-cut skateboarder with fancy neon clothes. But this image went beyond America; practicing the Japanese tradition of borrowing from abroad to augment their own society, Johnny’s founder, Hiromu “Johnny” Kitagawa, infused Genji’s act with a group of twelve backup singers/skateboarders. This group within a group, was dubbed ‘Skateboys’ (here pictured on an old telephone card). 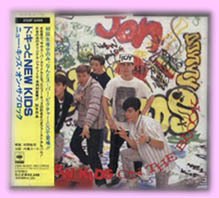 Among the ranks of this small band of Japanese ‘lost boys’ were young men that would go on to create a name for themselves in other musical endeavors: members of the now satisfyingly famous vocal group TOKiO, (also under Johnny’s label) as well as a young Takashi Sorimachi who would go on to his own, disputably lukewarm solo releases and an equally lukewarm acting career, most memorably playing the role of Mr. Onizuka from the manga-inspired television drama GTO, (and of course his 100% indisputably enviable marriage to Nanako Matsushima, known to most Americans as “that lady from Ringu” and to Japan-o-philes as Mrs. Fuyutsuki in the GTO drama). However, here we will only focus on six members of the 'Skateboys', these six young men, with the help of choreographers, make-up artists, coaches, tutors, agents, set creators, costume designers, product marketers, a hefty wad of support and cash from “Johnny” and the most important ingredient, Japanese females willing to fall in love with a famous pretty voice and face, became known as Sports Music Assemble People or as everyone else calls them SMAP. 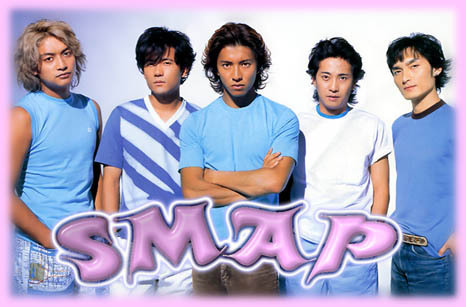 SMAP began with six members: Masahiro Nakai, Takuya Kimura, Tsuyoshi Kusanagi, Goro Inagaki, Shingo Katori and Katsuyuki Mori. In the picture you see at left, the only member missing from the photo is Kimura. The position of leadersip was granted to Masahiro Nakai, the oldest member. The group was officially formed in April of 1988 after only being initially employed in November 1987. This, however, did not give them the opportunity to immediately start selling albums. First their image had to be established and this was done by cramming them into television dramas, as many at once if possible. Although they played separate roles, such as Mori’s part in the legendary Kimpachi Sensei, the first time they all came together as SMAP for a drama was in Abunai Shounen 3. They would later go on to do plays and performances, even reenactments of then-popular manga Saint Seiya. Their roles were diverse but they finally came together as a vocal group in January 1991 and performed in public as SMAP for the first time at the Japan National Martial Arts Center. Later that year on September 9th, they released their debut single, “Can’t Stop!! ~Loving~” Since then as of this writing (2004) SMAP has had 34 more single releases to their credit. With over 15 albums released since 1992 and countless other promotions the crew has raised themselves to a level of fame that is as subtle as flying kick to the stomach. Here you may see a list of their major work up through 2003. Keep in mind that is not including all special releases and solo work they have performed. While in Japan if one watches two hours of television, walks through the center of any modest-sized town, spends time looking out the window in a train, and flips through any given daily newspaper, without fail one will be exposed to multiple visions of SMAP members, SMAP-related info and of course, SMAP’s music. I say this with no scientific evidence, proof and not even a survey, simply from pure experience. Rather than list all of their individual accomplishments from their reign, a task I have yet to see even a Japanese SMAP otaku complete on the Internet, I will provide the standard “Profile”. Profiles of SMAP members can even be found in English without looking too hard, however, most of them contain snips of data like, “Takuya’s Ideal Woman” or “Shingo’s Weight”, both of which are mute issues since Kimura is married with children and Shingo’s weight varied so much that he created his own work-out plan and released a book aptly titled (feign surprise) DIET. However, if you do desire these massive data figures which I cannot calculate, translate and transcribe within my lifetime, please refer to the bottom of the page for some links I will provide for you. There is debate over the members’ heights, for example . 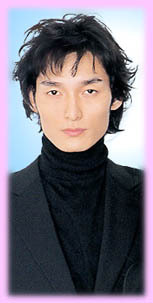 There is also talk that Mori’s height, which was listed as 5’11” as a SMAP member, was 5’8” for his racing license. Regardless, height is somewhat less disputable than weight so I decided to include that. Again, I am not attempting the end-all SMAP Member Profile. There will be fans wondering why Kimutaku’s favorite forms of alcohol (which are supposedly wine, champagne and bourbon by the way) or Nakai’s skin-type (dry if you were wondering) were not included. This is an attempt to bring forth facts that you can work with. Have fun discovering those questionable tidbits as a fan. So now at long last, introducing SMAP! Masahiro is described by fans as a “tower of strength” uniting the members and yet he stands not even five and a half feet tall. Nakai was named as leader since he is the oldest of the crew following standard Confucian influence of relations found in Japanese society. Being the SMAP-bellwether means he gets certains 'perks' such as often being exempt from cooking during the Bistro Smap segment of the group’s weekly television program SMAPxSMAP, (he is actually considered the 'owner' of the establishment). Other than that, with respect to his position as ‘leader’, it would be easy to mistake Mappy for his peers these days. However, as of present, Nakai’s duties lie behind the scenes. Much of the actual arrangement of group activities and regulation of time as SMAP is in Nakai’s hands. Although he does not have the power to say whether SMAP will put on a tour or concert, he did design the themes of concerts and even acted as manager for the boys before they had real live ones (“live” being relative for managers of course). Rest assured the majority of major decisions rest in the hands of Johnny’s Jimusho. Due to his position as leader, Nakai also does seem to receive certain ‘tasks’ that would require the attention of such a “tower of strength”. Despite his complete lack of long-term participation in professional or even competitive sports outside of his own hobbies and spots for television segments, Nakai was appointed as an official commentator for the TBS coverage of the 2004 Olympic Games in Athens. What Nakai does bring to sports commentary is his passion for baseball. An avid baseball fan from a young age, it was supposedly a bad elbow that kept Nakai from pursuing his dream of growing up to become a pro pitcher. Even so, he can flip around quite well on stage. He still believes in supporting those who wish to follow dreams and has formed his own baseball team as a hobby. In addition to his private baseball endeavors, (which became quite public last year when he seriously injured his middle finger during a game with friends), Nakai was also recruited as a frequent announcer for his favorite baseball team, the Yomiuri Giants. Fans believe that Nakai’s role as “leader” has grown less apparent over time because of the other members growing up and into the industry. Helping them establish and distinguish themselves as unique and marketable was Nakai’s motivation. He had the members fully settled into starring roles in television drama programs before he took on one himself. Imagine the most popular super-star the world has ever known; squeeze the overwhelming majority of that popularity into Japan with a few drops landing here and there around the globe. This is the beginning of understanding the power of Takuya Kimura. This heart-throb could easily be mistaken as the group’s leader due to his superfluous solos, spots on television, roles in television drama series, press coverage, supposedly dashing good looks and wild eyes. Kimura is without mistake, an institution and deserves a section on this site all to his own…someday. If the group has a “bad-boy”, that title could possibly be given to Goro, and only as a result of an incident that resulted in a short suspension from the group. However, the group’s member that most likely fills what Americans define as the “bad-boy” would probably be Kimura. He has probably been involved in more ‘questionable situations’ than any other member simply by virtue of the roles he’s associated with in dramas. Although recently he’s portrayed a heroic public prosecutor and a hockey player with feelings, it was his role in the 1997 television drama Gift that put him in a rather undesirable spot. Kimura portrayed a character that in one scene used a butterfly knife to show bravery a la Bishop from Alien by stabbing the spaces between his spread fingers. Flash forward to 1998 where in January Japan was hit by a wave of murders and crime committed by youth wielding butterfly knives. Then in 2000 he surprised all of Japan by wedding Shizuka Kudou, a former pop-idol and model, (she happened to performed Blue Velvet, an ending to the popular animation Dragon Ball GT), on November 13th, 2000. Although the two had been dating for quite some time and speculation about their marriage went back to April of the same year, the shocker was that Kimura was a daddy before they tied the knot. The story broke on November 22nd that Shizuka was already four months pregnant at the time of their marriage. Some papers even report that Kimura needed to consult Johnnys’ Hiromu about what to do since his single image made him such a heart-throb. Well luckily for SMAP, his married with children image is just as appealing and profitable as his single image. As for the whole dekichatta ko ‘whoops, we made a kid’ problem, that faded instantly into obscurity. Some even believe the lyrics of the single Lion Heart released in August 2000 were in direct reference to Kimura’s unborn child. Kimura’s power is unyielding and his commercial success is what many attribute SMAP’s boom in the 1990’s to. SMAP fans agree that the members’ commercial contracts change with the wind. Today Kimura has three and Nakai has five. This could change at any time. Regardless, looking at pure sales, Kimura may indeed be crowned the commercial king. According to the 2003 Nikkei TV Commercial Grand Prix Survey, Kimura ranked 3rd for best male celebrity enodorser behind David Beckham and K-1 monolith Bob Sapp. This was Kimura’s eighth consecutive year up on the list and for the past three years he was in the Number 1 spot. Most recently, the survey for 2004 put Kimura back in the top spot with the British soccer-star nowhere within the top five. In fact, four of those in the top five were SMAP members, with only Goro missing out on a top spot. This does not mean Kimura makes the most yen for his commercials, that’s something only reserved for perennial legends with a history such as Southern All Stars or Ken Takakura. Don’t worry, he may be up there someday. In Japan Brad Pitt is the face of Edwin, a popular jeans company. However, it was the jeans giant Levis that went from James Dean to Kimura for its image in Japan. Hopping over to a Japanese citizen for a marketing plan is risky since the foreign image sells well in Japan, but like so many other campaigns left to Kimura’s charisma, it was a sales success. Perhaps most notable is his triumph with TBC, a women’s beauty clinic. After his endorsements starting in 1998, so many male customers came to be interested in the services that the company opened Japan’s first major male beauty clinic. At this point I am respectively bowing out of covering Kimura for this particular section, I would like to write more on his accomplishments and titles but I will leave that for another day in another place. I think you get the main idea. Oh, one other thing, don’t call him Kimutaku. He hates that nickname. Were I to voice my opinion as a spectator and not a writer, I would have to say that Inagaki is the least adored member of the group. I say this with great apprehension, and with full knowledge that this will cause my damnation in the eyes of Goro fans because finding an accurate ranking of SMAP members with respect to their popularity within the group is a quest I have yet to complete. I dare say such a ranking may not even exist. The closest ranking one might hold as evidence is a vote-in list of the most popular men in Japan tallied yearly by the magazine an an. In the April 2004 survey while four of the five members were in the top ten (three within top five) Goro did not make such a prestigious cut. In 2003 he was only slightly higher up right at number 10. If there is a member of SMAP that is to be regarded with some sense of uncertainty, that would be Inagaki. Although loved by fans he has had the most troubling past of the group. In September 2001, Inagaki was arrested for trying to avoid paying a ticket for illegally parking. While not a major offense his form of ‘avoiding’ was actually driving away while three officers attempted to stop him. A female officer attempted to stop him by jumping in his way and he allegedly either hit or narrowly avoided her as he tried to drive away. He was later stopped on the road by police and taken into custody and released two days later under house arrest, which he ended up living out at a hotel. In October 2001 the prosecutor’s office decided not to press charges as his actions were, “not intended to be destructive.” More importantly, to fans, this meant his suspension from the group for the remainder of 2001, a hard blow since the group was in the middle of concert season. While Johnny’s President Hiromu Kitagawa maintained that he was unopposed to a return by Inagaki, this was not to be as Johnny’s Vice President “Mary” Kitagawa did not approve of such leniency. Not without a dash of business mystery, one might contend that Johnny was not in support of Goro’s return but wanted the fans’ displeasure aimed at VP “Mary”, someone who would be more than likely to do something for the music mogul as she is actually his sister. On January 14th, 2002, Goro returned to television with the group and made a formal apology on a live edition of SMAP x SMAP. This ended the controversy but somewhat set SMAP into the background for most of 2002, something that wasn’t to last long as they rocketed back with a fury in 2003. Unfortunately, Goro’s uncertain past has an even darker side. The above mentioned Hiromu Kitagawa, has also been accused, throughout the history of his empire’s reign, of the sexual abuse of his young male performers. 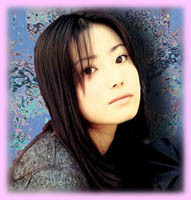 In 1998, former Four Leaves member Kita Koji detailed the accounts of sexual assault by Kitagawa. While pending cases faced by “Johnny” were settled outside the court, the multiple accusations from parties somewhat seem to carry a suspicious piece of truth. Rumors now exist, but have never been explored, that Inagaki was also sexually abused by Kitagawa. Whether any of that is accurate or not remains to be seen and is certainly not commented on by anyone surrounding him or the group. Then there was the case of an embarrassing situation he put himself in back in March of 2003. Goro, then 29, was seen at a hotel with a woman who was not his girlfriend, actress Kanno Miho of TOMIE fame seen at right. He had apparently been seeing the woman for two years after they met where she worked as a hostess. He was not planning on revealing the relationship until photos of he and his mistress at a Shinjuku hotel were published. In an article published in a Fall edition of the magazine MORE, Goro stated that during his 20’s he couldn’t even imagine wanting to get married. As of this writing (2004) Goro is officially in his 30’s so perhaps he’s willing to settle down now. To this point we have explored the negative aspects of Goro’s career but this brief profile would not be worthy of speaking on Inagaki’s life so far unless it covered the positive aspects of his career. 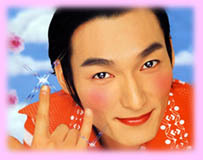 Goro has been an active and popular participant in all of SMAP’s group television programs, sans his short suspension. In television ads he promoted Nintendo products as a real and somewhat voyeuristic Mario that made Bob Hoskins look like…well…Bob Hoskins. He has also hosted a television program Hontou ni Atta Kowai Hanashi 'Real Scary Stories' a weekly series that takes “real ghost stories” from viewers and turns them into 10 minute shorts. Goro leads the Honkowai Club 'Truly Frightening Club' of young students who investigate the scenarios in their studio by interviewing paranormal ‘experts’ and performing seals. This is particularly amusing because Goro himself was in the paranormal NHK drama Onmyouji (not to be confused with the more recent theatrical films) portraying the main character, Abe no Seimei. The show also includes a look at shinrei shashin 'spirit pictures' which are photographs of supposed ghosts sent in by viewers. For the most part these are just pictures that happened to pick up a drop of rain or dust which looks like a Japanese spirit, and some of them are humorously Photoshopped but each is discussed, and handled, with the utmost sincerity. Goro’s singing is also further proof that the members of SMAP support each other’s work, willingly or otherwise. He was the only member without a planned drama in 2003/2004 and so he lent his talents to Tsuyoshi’s drama Boku to Kanojyo to Kanojyo no Ikiru Michi literally 'The Way She, Her and I Live’ but has been shortened to ‘The Way We Live’. (Note: Can Tsuyoshi ever get out of drama with titles like this?). Under his solo artist label &G, pronounced ‘anjee’, the two SMAP members made both the drama and single Wonderful Life huge hits with fans. Known best for his facial features that uninformed foreigners often mistake as any East Asian race but Japanese, perhaps it was meant to be as such for this alchemist of societies, Tsuyoshi Kusanagi. 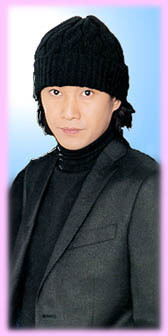 Although known throughout Japan as a SMAP member, Tsuyoshi is also a veritable super-star in South Korea. Having been inspired by a Korean movie, he decided to educate himself about the country some 120 miles off of Kyushuu. His motivation was apparently not to be taken lightly, now ‘Chonan-Kan’, Tsuyoshi’s assumed Korean name and self-created character seen at right, speaks fluent Korean, (or so I am told not being a speaker myself), and has helped in bringing South Korea to Japan. As of this writing (2004) Japan is in the middle of a Korea-Boom. Korean drama, films and stars are one of Japan’s current fads. It is not uncommon to find young women, house-wives and even grandmothers, taking off for the weekend to be led around on a whirlwind tour of South Korea. Is this all thanks to Tsuyoshi? In part yes, but regardless the days of South Korea banning Japanese ‘cultural products’ is over without question. The ban was put in place after the end of World War II under the assumption that such a movement would help South Koreans assume their own ‘cultural identity’, one which was threatened under Japanese colonial rule from 1910-1945. In April 1998, South Korean President Kim Dae-jung stated that such a drastic measure was no longer necessary as his country could now culturally identify with itself. Of course these words came followed by an extensive look at how Japanese imported goods would impact the domestic South Korean market. At the time, annual imported estimates ran at 1.5 Billion dollars. According to the US Department of State, Japan is officially the highest supplier of foreign goods to South Korea holding 20% of goods (2002). Products across the board were estimated to have taken roughly 10% more or less from each entertainment market such as CD’s, movies, etc. with animated films taking 78%. However, South Korea is only doing a total of 1.7 Billion dollars of importing and exporting 1.9 Billion (USD). For a short while Japan dominated the market, but within only a few years, beginning with the action film Shuri or 'Shiri' in the US market, South Korea began to successfully market its own entertainment and “culture” to the world, and of course, Japan. In 2004 Japan played host to so many successful South Korean imports that the kan in Kankoku 'South Korea', was almost voted Kanji of 2004 for the Japan Kanji Aptitude Testing Foundation's yearly contest. Once again, was Kusanagi responsible for all of that? I doubt it, in fact most of the credit should be given to Bae Yong Joon aka Yon-sama for making the South Korean drama Fuyu no Sonata 'Winter Sonata' a tremendous hit with fans (mostly middle-aged housewives). Even if Tsuyoshi did not create flocks of migrating Japanese housewives he certainly helped the process by making South Korea’s society more accessible and better understood in Japan. His love for South Korea first reached airwaves in the form of Chonan-kan, a 15-minute program which aired on Fuji Television on early Saturday mornings at 1:15AM. In this late-night spot typically reserved as a rotation spot for shows featuring the SMAP members in their own television shows, Tsuyoshi brought Korean ‘culture’ to Japan’s red-eye television audience. Interestingly enough, the show was received so well that it was extended and is currently in its third year of shooting as of this writing (2004). Tsuyoshi has expressed himself via Chonan-kan in other avenues as well, not the least of which would be his starring role in the 2004 Korean-language film Hotel Venus. The film, although a Japanese production, details the events of Tsuyoshi’s imagined Korean persona as the manager of a lonely hotel in an undisclosed location. Although the main players can be divided up into four Korean actors and four Japanese actors, the dialogue is carried out in Korean and the movie was a great success at home and abroad. Tsuyoshi’s acting in Japanese televisions drama, being consistently tagged with absurd tasks on SMAP variety programs, following his dream to learn about a foreign country and success as a singer has blessed him with admiration from those who would not even call themselves SMAP fans. Perhaps one of the most well-rounded and multi-talented members of SMAP, Tsuyoshi stands out for making himself known for more than just a chiseled face and soft-soothing voice, he represents what many Japanese citizens themselves want to be, a ‘cultured person’. If I as a writer am guilty of treating any member with a bias, it would without question be Shingo. Perhaps that is because I actually have something in common with the fellow, a deep love and respect for the landmark manga Dragon Ball. Aside from that I also see Shingo as the most ‘real’ member of the group. A perfunctory viewing of his various roles on variety programming, on-stage as a singer, or speaking frankly in front of cameras, Shingo seems to take his job with the largest grain of salt among the five men and perhaps this stems from his being the youngest member and therefore subjected to a role all too familiar to those low on the age/position defined ladder of Japanese society. Although it cannot be said that he never refers to his SMAP peers using the affectionate/diminutive name suffix kun, he is not often heard using it in their immediate presence. This role assumption allows him to constantly be in the care of his 'older-brother' members and thus is silently assigned the role of 'younger brother'. Analogous to a ‘typical’ Japanese family Shingo is thus allowed free range while his 'older brothers' serve as models. His role now somewhat defined, diving a bit more into Shingo “The Man” we find a writer, actor, linguist, pioneer and prankster. His work with SMAP aside, Shingo made his notch in Japanese history with the immergence of his fictional character, Shingo Mama which was made popular on the SMAP program Sata Suma that Shingo co-hosted with Nakai. The show featured them as various characters on “missions” based on requests sent in to the Fuji Television Network. One of Shingo’s characters, the Shingo Mama you see at right, was assigned the task of entering the home of a house-wife, whom had sent in a request for his appearance. Unbeknownst to the family, even the mother, in the early morning hours he began cooking breakfast for the family while carrying out morning chores, all while attempting to keep each family member slumbering peacefully until awoken by Shingo Mama’s hallmark phrase, “OHHA~!” a shortened form of the Japanese morning greeting Ohayou which we could only attempt to localize as ‘Wakey Wakey!’ This bit ended up as the most memorable of the performances and became a staple segment. “Ohha~!” was granted the honor of being the year 2000’s most popular new phrase. Interestingly enough, originally the phrase was used by morning host Kouichi Yamadera on the children’s television program, OhaSuta short for Ohayou Sutajio or 'Good Morning Studio'. When Shingo appeared on the program as Shingo Mama he adopted the phrase and carried it over. It was not until its use on Sata Suma that it became the buzzword on everyone’s lips. Shingo also made Japanese history when he took on the lead role in Japan’s first sitcom, HR (Home Room) which chronicled his hapless adventures as an English teacher at a night school for adults. The show ran from October 9th 2002 to March 26th 2003 at 11PM. If nothing less it was a fascinating view of how Japanese society has interpreted foreign sitcoms. The show was filmed in front of a studio audience, so no laugh track, and the situations’ roots are clearly in the US sitcom while taking on a hint of Vaudeville or manzai appeal. But rather than critique the show, regardless of whether or not it was a poor product or imitation, which writer Mitani claims it is certainly not, Shingo having taken on the role is a bold move that could have left him at the claws of fierce critics…but of course that isn’t to say it would have had any negative impact on his role in SMAP. Much like Tsuyoshi’s voracious attitude towards learning Korean, Shingo has placed himself in the shoes of Japan’s middle and high school students by putting his English-learning ability to the test in a segment of an educational television program SmaStation which he called BeraBera Station. First airing on October 13th 2001, and continuing weekly every Saturday since at 11-12PM, SmaStation has been a lasting source of news and information for children. One segment of the show, BeraBera Station, consists of a set of English-conversation challenges that the star must attempt to accomplish. The segment has featured him memorizing phrases, doing translating foreign films and even acting out skits in English. Often toted as the “kid” member; whether bringing famous manga characters to life in movies like his performance as Hattori-kun in 2004’s NINxNIN or Japanese historical figures seen in the taiga drama Shinsengumi! as Isami Kondou (seen above right in an advertisement at Harajuku Station in Shibuya), Katori is indeed a symbol of Japanese youth and spirit. Detailed information on former member Katsuyuki Mori is fairly difficult to come across, but this is what I have gathered. Mentioned previously in the introduction, Katsuyuki carried with him the dream of being in racing since he was in third grade. He even admitted in an interview with SMAP leader Nakai that in joining Johnny’s he did so all the while holding on to his real dream. Mori’s ambition for such a dream seems to have come from a great admiration of his father’s love of the sport. His mother and father divorced when he was young and Mori was raised mostly by his father. Nearing his 23rd birthday, Katusyuki realized that he would be unable to enter the racing world if he was too old. He made the decision to leave SMAP and enter the racing world. Coincidentally, his decision to leave also came at a time when he was believed to be at the height of his popularity within the group leading some people to speculate on whether or not there was some wedge between him and Johnny’s. Before leaving the group, a special televised farewell was filmed. Mori made a pact with his peers, a promise to keep his careers completely separate so as not to cheapen his new position. Rather than cheer on and support Mori as a racer publicly, the remaining members were to make no mention of Mori’s new position as to keep him from being a spectacle and allow him to gain recognition within the new field on his own, one of the major reasons recent data on Mori is scarce. The other stipulation was that Mori could not return to the group. This was not a punishment; this was an agreement between friends and between men. Since that time Mori continues to race motor bikes. He is married and became a father in 1998 while supposedly living happily out of the spotlight. Since his breaking with the group, Mori and SMAP have kept their word and live in seemingly different worlds now. Having gone on about the unity of the group and their strength together, it is their individual marketability that aids in making them a great success. In the beginning they were pooled together in the drama Abunai Shounen 3 and then broken off into sub dramas as organized by Nakai. Instead of simply working together at all times, they found themselves able to create more surface area by finding niche fans and becoming popular in their own rights as actors. This allowed for a massive coalition of fans that came together when they performed as SMAP. The same cannot be said for groups like England’s Beattles who only much later in their career jettisoned off into their own fields gathering fans with different tastes then bringing them together. Is this the 'Western' way? Consider other recent moves that parallel this formula: Backstreet Boy's Nick Carter or TLC's Beyonce. In an interesting reversal, the generally group-oriented society of Japan found that it could make its male vocal groups even more popular by splitting them up first and allowing their appeal as individuals to draw buyers. They each stood tall and proud their chests open to the world. Just how can we humans start to compare? Is this the way it really has to be? How could they choose which one was just right? She walked away with a peaceful and smiling face. If you did not live or visit Japan in 2003, it is nearly impossible to fathom how this song took the nation by storm. For starters, it was the number one single of 2003 with 2,359,000 CD’s sold. The single claimed over a million of those sales just a week after its release. Only Ayumi Hamasaki’s Independent managed to do that the year before. Although not even close to being the highest selling single of all time, this was an impressive figure that has not even been approached in the two years prior to its release. This came during a time when within its own country Japan was seeing crime on the rise among youth and foreigners living in Japan, a break down of what some might label ‘traditional’ values. A message of peace and respect for all life was grafted on to the song at the time of its release and it became not only a call of peace and respect for all the people of the world, but also an anti-war song. The deployment of the Self Defense Forces to Iraq for water duty as announced by Prime Minister Junichiro Koizumi, almost to the day of the anniversary of the Pearl Harbor bombing, resulted in a great change for Japan. This was to be the country’s largest entry into a war environment since the infamous Article 9 (see Chapter II) was imposed after World War II. According to an Asahi Shimbun survey conducted after the announcement, 55% of 1,824 citizens interviewed were opposed to the sending of forces for the purposes of humanitarian aid. All of the above made SMAP’s 12th appearance on the annual Kouhaku Utagassen ‘The Red and White Musical Showdown’, (a year-end late-night special that not only counts down to the new year but also pits the year’s biggest female and male musical artists against each other), as the final act all the more poignant. The crew each took a moment to spout a phrase of sugar-coated anti-war-sentiment; most glaringly Nakai who requested that everyone consider the ‘loss of many precious lives’ and ‘hideous acts’ carried out during 2003. Nakai completely missed the opportunity to show such sentiments for lives lost in September 2001 not participating in that year’s event. As the mighty five finally went into song the viewer ratings spiked to 57.1%, (even bigger than Nakajima Miyuki’s unbelievable 53% rating in 2002), and in the end obliterated the female team with a huge victory. Did SMAP themselves ever really intend any of this? Consider this: six months ago when the boys were shepherded onto a popular late night news show to plug "sekai ni hitotsu dake no hana" the station framed the entire segment as an anti-war document - replete with a stirring montage of Iraqi refugees, dead bodies, urban devastation, and American occupationiers. During this depiction the five singers were asked to describe what the song meant to them. When it came time for Kimutaku to speak, the SMAPster who has been voted "sexiest Japanese male" six years* running replied: "Um… well when we recorded it . . . um . . . I don't know . . . I guess I thought . . . well, it was a pretty tune." * [Greg's Note] I should point out that I believe this is an error on the author's part. Kimura has held the title for eleven years. Pro-War or Anti-War, either can agree that the most basic message presented in the song is a beautiful one and it is indeed a “pretty tune”. The sides begin to polarize when discussion of the possibility of such a world actually existing while humans have free choice comes to the table. Either way, SMAP members, (Nakai aside), do not seem too concerned with what they are singing so long as it makes Japan feel good in a time that it needs a helping hand. Although the economy is slowly but surely on the rise and crime may someday recede to stereotypically “Japanese” standards, while they are on their way they need some help and that’s what SMAP is all about, enjoying life with others no matter what hardships one might face. Even though they may not have known it at the time, they had the right idea since the day they formed: Sports, Music, Assemble, People describes quite well the vigor, unity and form that SMAP gives to Japan. Channel Smap A site for the truly SMAP dedicated. By working with site staff and forum posters here I was able to create much of this introductory guide. This work would have consumed many more hours and resulted in strained eyes had these individuals not lent a hand in giving me info when I could not find any. 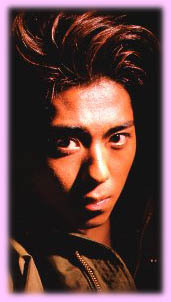 Kurenai A site dedictaed to Nakai that has painstakingly documented countless bits of info on the SMAP leader and the rest of the gang. Be sure to see the captures of SMAPxSMAP episodes as well. SMAP Discography A SMAP discography in Japanese. This will surely be more frequently updated than the one I have posted here. Pop Matters Another article dedicated to SMAP which I think may help further your understanding of the group's influence and popularity in Japan. Japanese Culture and Daily Life A quick history of The One and Only Flower in the World. Mappy Site Another Nakai site with plenty of information on all SMAP members as well. SMAPxSMAP The official SMAPxSMAP homepage. Japanese only. J-Drama At this fantastic database you may type in a SMAP member name and search to see which dramas they have made appearances in. Very useful! Saiyaman BT You may locate some SMAP-related programming such as SMAPxSMAP or other TV specials for BT download here. I have provided some SMAP clips for you that I took myself. First of all, do not expect drop-dead beautiful quality. Most of these are simply me taking captures of live television from either a friend's house or my dorm room. Secondly a request for some common Net courtesy. Please download these to your hard drive if you want to watch them multiple times. Please do not link directly to these files. And of course this goes without say but please refrain from posting these files elsewhere without contacting me and receiving a reply. Thank you for your cooperation. The more you help out, the more I can provide for you. SMAPxSMAP 1: 9/15/03 Here Will Smith appears on SmaSma and attempts to challenge Japanese-style cooking. SMAPxSMAP 2: 9/15/03 Down the hatch Will. SMAPxSMAP 3: 9/15/03 And here Shingo takes Martin Lawrence hostage to which Will responds "DELICIOUS!" SMAPxSMAP 4: 9/15/03 Here Shingo portrays World Female Judo Champion and Olympic gold medalist 'Yawara' chan. Goro portrays himself in a special visit to her changing room. SMAPxSMAP 5: 9/15/03 Here a wild flashback sends 'Yawara' back into the ring during a romantic moment. SMAPxSMAP 6: 9/15/03 Kimura and Miki Maya (of Takarazuka and Bayside Shakedown 2 fame) portray figure skaters competing for the spotlight while smiling sweetly. SMAPxSMAP 6: 9/15/03 Shingo plays a Kansai-accent-speaking Beckham dominated by Victoria. Music Station Super Stage 1: 12/26/03 Here SMAP appears together singing a live version of Sekai ni Hitotsu Dake no Hana on the year-end Music Station special. Music Station Super Stage 2: 12/26/03 After the intro solos, listen for the crowd to go bonkers as the song familiar melody kicks in. Year in Review: 12/31/03 In this year-end special which counts down the major stories of each day of the year with popular Japanese music in the background, guess which song was used for the first day of the conflict in Iraq? Karaoke: 1/02/04 Here my own friend's little cousin sings Sekai ni Hitotsu Dake no Hana at Karaoke yet she cannot even read yet. SMAPxSMAP 7: 1/25/04 Kimura plays his recurring role as "Captain Jack" (yes as in Sparrow). Today he find himself in charge of a Kindergarten class. Karaoke Taikai: 4/09/04 Here in the final segment of Shijyou Saikyo no Mega Hitto Karaoke BEST 100 or simply 'The Greatest Karaoke of All Time BEST 100', Sanpuraza Nakano is given the task of singing the current most popular karaoke song entirely from memory. Guess which song it turned out to be? If he had succeeded, which he didn't (he said "wa" instead of "mo" in the second chorus) he would have received over 3 Million yen or about 29,000 US dollars. The members of Channel Smap have provided invaluable information that helped make much of this possible. I began pesting them with questions in August 2004 and it took until January 2005 to bring everything together but they've been patient and were an excellent source of SMAP trivia and information. My friends Haruka Hosoya and Machiko Matsumoto have been just as invaluable in helping me by lending a hand for translating particularly daunting song titles and finding very rare pictures of SMAP and Skateboys. Any above figures are accurate as of 2004/January 1st, 2005. Any mistakes here are my own and please feel free to contact me to bring them to my attention or if you would like to add something. Thank you for your time and I hope this has been helpful.